FOG is an acronym for Fats, Oils, and Grease. BMP (Best Management Plan) is a program developed to solve the problem of fats, oils, and grease being introduced into the public sanitary sewers, wastewater treatment plants and lastly our lakes, rivers, and streams. Fats, Oils, and Grease create an ENORMOUS negative impact on the public sewer systems and wastewater treatment plants across the country. Because of this, many cities have mandated that Food Service Establishments (FSE’s) implement a Fats, Oils, and Grease Best Management Plan within their establishment. 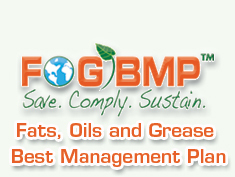 By following a FOGBMP, not only will you reduce the grease that builds up within the drain lines in your own facility, you will also reduce the grease that builds up in the public sewer system and wastewater treatment plants. 1. Grease going down the drains of your facility is costly to you. 2. Grease discharging from your facility is costly to taxpayers due to the unnecessary cleaning of sewer lines. 3. Wastewater treatment plants were not designed to handle grease, they were designed to handle septage, therefore, heavy loads of grease pass through these facilities and are discharged into rivers, lakes, and streams. Costly to taxpayers and costly to our environment. FOGBMP is quite simply, THE RESPONSIBLE THING TO DO! 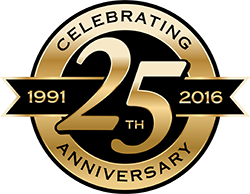 Save Money – By decreasing emergency drain cleaning and grease trap maintenance service calls. Comply With – Federal, State, and Local rules, regulations, and mandates. Sustain Environment – FOGBMP can be a part of your public facing green initiative and is critical to sustaining the environment and infrastructure within your community.